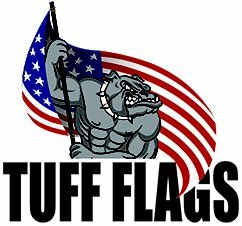 Display your school colors, mascot or slogan with these Custom Mini School Pride Flags from Tuff Flags. Get it custom printed with your colors and logo to make a perfect handout to build pride in your organization whether it be a city government, school or fraternal organization. 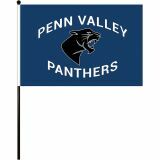 Put it on your desk or take it out on a display during school spirit rallies or parade, these digitally printed mini flags will never fail to impress the audience. 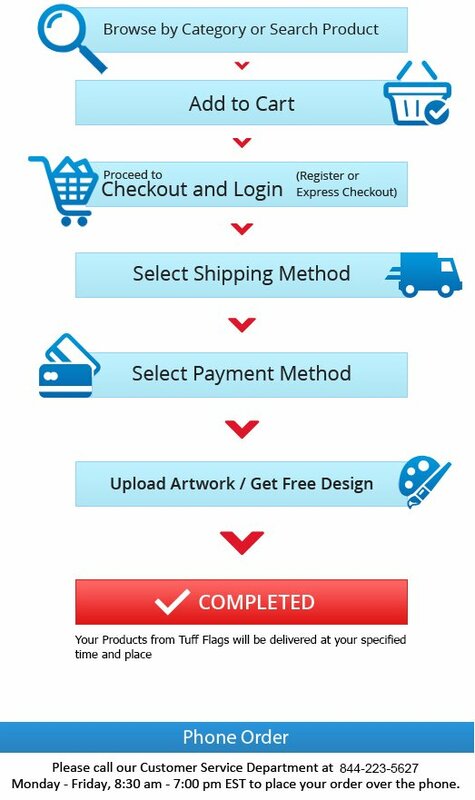 Shop from our complete line of Mini School Pride Flags right away and avail the best prices, quick shipping and much more! 100% customer satisfaction guaranteed! Celebrate your school colors and pride with our Mini School Pride Flags offered in various popular sizes including 4” x 6”, 6”x9”,8”x12” and 12” x 18”. 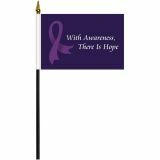 Choose from Single Face Reverse or double sided polyester flags made of Soft Polyester Material and finished with white pole sleeve. These flags use a pole hem, black staff and ball top for a finished look and safety for school kids. 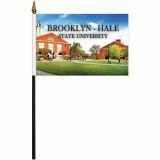 Great as table top display flags and parade flags. 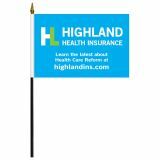 Schools can use it as fund raising flags during special events or sports leagues as well.